In 1991, Mark Greenside’s then girlfriend wanted to rent a house and spend the summer in Brittany, France. Because Mark feared flying and didn’t speak French. he reluctantly agreed. While he and Kathryn fell out of love, he fell in love with Brittany and ended up buying a home there. 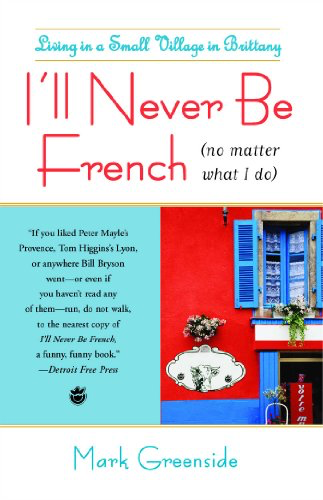 I’ll Never Be French (No Matter What I Do) chronicles his adventures which include hiring a contractor, opening a bank account and throwing himself a 50th birthday party. Perhaps because I’m learning French, I have a renewed interest in France and it’s culture. It’s fascinating to read about French norms and customs, and Mark’s attempts to adapt to them. Despite being a fish out-of-water, he made lifelong friendships and carved out a satisfying life for himself.